GoPro Fusion is the first all-in-one 360 camera from GoPro with 5.2K resolution. Is the Fusion too late or does it offer something different? Watch our collaboration video to find out! 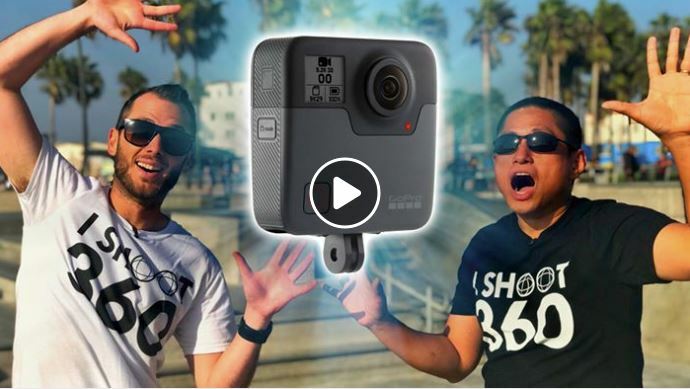 GoPro cameras are probably the most popular cameras for 360 camera rigs, including GoPro’s own Omni, which a staple for professional 360 videos and is the preferred choice for many 360 videographers. However, GoPro is now creating an all-in-one 360 camera, the GoPro Fusion. It was announced back in April 2017, but since then there have already been several new 360 cameras, including the Ricoh Theta V with 4K video, Insta360 ONE (also 4K), the 5.7K Garmin Virb 360, and soon the Yi 360 VR (also 5.7K). With so many new 360 cameras being released, some have wondered whether GoPro is too late to the party. In fact, it seems GoPro themselves are aware of this and have moved the release date of the Fusion from 2018 as previously announced to November 30, 2017. But this hasn’t stopped people from questioning whether GoPro is too late. That’s the precise question we tried to answer in this collaboration video with Ben Claremont (Life in 360), probably the most popular YouTube channel dedicated exclusively to 360 cameras. In this video, Ben and I talk candidly about what we think about the GoPro Fusion. In summary, although GoPro Fusion will not be cheap ($699), it looks like a formidable 360 camera that seems to combine the best aspects of popular 360 cameras: the resolution and detail of the Garmin Virb 360, the stitching of the Ricoh Theta V, and the Freecapture of the Insta360 ONE. Although it’s coming a bit late, the Fusion could still end up one of the best, if not the best 360 camera for consumers.